About Dorte | Dorte Verner photographs and writes on development, including poverty reduction and climate. Dorte Verner is a photographer sensitive to social and environment issues and give voice to people who likely never would make it to the news. Dorte Verner’s photography focuses on people that have little voice and never make the news. She captures their beauty and strength through intimate moments, whether in refugee camps or in indigenous communities impacted by climate change. Dorte's portfolio centers on environmental portraits, with images inspired by the life and livelihood of people living in extreme situations and in remote geographical locations. These include rural areas in Africa such as Omo Valley, the Arabian Deserts, Latin America’s semi-arid areas and the Amazon, and Asia’s mountains and plains. Many of the people living in these areas are affected by climate change, globalization, and other changes, which they have contributed little to. Dorte was born in Denmark and lives in Washington, D.C., USA. She is a Photographer and Development Practitioner and holds a PhD in economics. Dorte has received numerous awards. She was Nikon's Grand Prize Winner of the Award for the Most Popular Entry; Winner of IPA and Paris Photo. her work is published in books, magazines, and the news, e.g. GEO, Vanity Fair, The Times, Sun, and on websites. Her photographs are featured in solo and group exhibits, and are on permanent display, e.g. The Nikon Museum and International Organizations, such as the World Bank and the International Monetary Fund in Geneva, Kampala, Nouakchott, Paris, Washington D. C. to mention a few. Winner 1st prize, 2018 International Photography Awards (IPA), The Lucie Foundation for the Wonder Girls and Women - The African Refugee Crisis series in the Social Cause category. Winner 2nd Prize, 2018 International Photography Awards (IPA), The Lucie Foundation for the Disappearing Wodaabe People and Culture series in the People/Culture category. Winner Silver Prize, 2018 Paris Photo Prize (PX3) for the Moving Sand series in the Press / Nature/Environmental category. Photographer of the Year 2018, International Photography society, Washington D.C., USA. World Bank 2018 Sustainable Development award for report on refugees and new frontier agriculture technologies. Without Borders, a solo exhibit by Dorte Verner in Henry Luce III Center for Arts and Religion, Washington D.C., USA. September 17 - November 16, 2018 - (ongoing). The Silk Road - Photography Biennale of Tianshui, China. A multi-artist exhibit and Dorte Verner exhibits 12 photographs from Iran, Jordan, Oman, and Syria. June 20 - October 30, 2018 (ongoing). International Photo Society Annual Photo Exhibition. A multi-artist show at the Preston Lounge, Washington D.C., USA. September 21- October 31, 2018. The Sahel, Resilient People in Burkina Faso, Chad, Mauritania, and Niger. A solo exhibt by Dorte Verner in The World Bank, Washington D.C., USA. March 19, 2018 - (ongoing). Annual IPS Exhibit, a multi-artist show in The International Monetary Fund, Washington D.C., USA. June 11 -July 13, 2018. The Wonder People, a solo Exhibit by Dorte Verner at Photoworks Gallery, Washington D.C., USA. January 19 - February 27 2018. The Washington Post and The Washington City Paper reviewed the show. The Wonder People exhibit is a series of photographs of children and adults caught in the global refugee crisis. Dorte Verner captured the exhibited photographs of people caught in 22 countries and originally from Afghanistan, Burundi, Central African Republic, Democratic Republic of Congo, Iraq, Kurdistan, Myanmar, Rwanda, Somalia, South Sudan, Syria and more over the past three years. The photographs are a rare look into the life of “The Wonder People” around the globe. Nikon Success Stories: 01 Dorte Verner: Capturing and sharing the critical state of the world. Movie: Nikon Photo Contest 2018-2019 Promotion with Dorte Verner. International Photographic Organization: Interview with Dorte Verner. GEO Magazine, two pages of Moken Fisherman; October 2018. Phoneix Magazine, Cover; Fall 2018. Winner of the Nikon Photo Contest 2016-2017. Grand Prize Winner of the Award for the Most Popular Entry: Disappearing fishing method by Moken. Winner 1st prize, 2017 International Photography Awards (IPA), The Lucie Foundation for the Moken peoples series in the Traditions and Culture category. Winner 3rd place, 2017 International Photography Awards (IPA), The Lucie Foundation for the Refugee Children series in the Social Cause category. Santa Fe Portraits Photo Contest 2017: Honorable mention for Mother. Photographer of the Year 2017, International Photography society, Washington D.C., USA. Greece: Blank Wall Gallery: People and Winter exhibit. November 2017. The United Kingdom, London: December 2017 at Center of Excellence. Nikon Plaza Shinjuku, THE GALLERY through October 2017. Nikon President's Office, Nikon, Tokyo. The World Bank, Washington D.C., USA: Large solo exhibit: Faces of Resilience, June 20 to July 7, 2017, James D. Wolfensohn Atrium and from July 7 onwards on the floor of the Vice President of Africa. This photojournalism exhibit features 25 large photographs Dorte made in Uganda, Kenya and Niger in early 2017—three countries hosting a large number of refugees and IDPs with very limited resources. the exhibit documents, through photographs and narratives, the resilience and challenges faced by refugees and host communities. The World Bank, Washington D.C., USA. International Exhibit, ongoing. The International Monetary Fund, June and July 2014. IPS Exhibit. International exhibit with six photographs by Dorte from Cuba, Iran, Myanmar, and Thailand. People in a Changing Climate, The World Bank, Permanent exhibition(ongoing). Best Photo exhibited in Metropolitan Washington D.C., USA by selected by the City Paper. International Photography Award (IPA) winner: series Indigenous Peoples Under Climate and Other Treats in IPA's 2016 social course category. Winner of International Photographic Society 2016 competition with Snow Day. Exhibit in IMF, June 2016. Shutterbug published photo of Dao Peoples in Vietnam (April, 2016; page 16). Exhibits: Social Implications of Climate Change at Photo Works, Washington d.c., USA (March) and at the IMF (June and October). Photographer of the Year award the International Photographic society, 2015. Honorable Mention for Cuban Joy, Santa Fe Workshops, 2015. Honorable Mention for Cuban Joy, International Photography Award (IPA), 2015. Photographer of the Year 2015 International Photography society, Washington D.C., USA. Photographer of the Year 2014, International Photography society, Washington D.C., USA. Dorte’s work wass exhibited in: The Louvre, Paris ( Koro Boys); Center for Digital Imaging Arts, the International Monetary Fund, Tryst, the World Bank, the Goethe Institute, Photo Works, and the Foto Central at FotoWeekDC. In 2012, Dorte's book Arab People in Transition: Climatic and Cultural Change won third place in FotoWeekDC International Award Competition in the Photojournalism category. Dorte published a second photo book about Indigenous peoples in Omo Valley, Ethiopia and climate change: People of the Omo Valley Under Climate and Other Pressures. Cover of Book and documentation in "Drought in Brazil", CRS Press, 2016. The Water Crisis Yemen: Managing Extreme Water Scarcity in the Middle East. 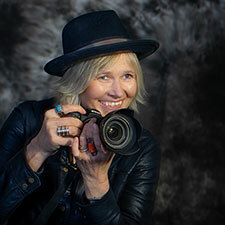 Dorte served as a judge in numerous Photo Contests, including “Picture Inequality” a Global Photo Contest hosted by The World Bank in Washington D.C. The photo contest received 750 submissions from 71 countries.